POETIC REALISM – inspired by nature and plants, I work with watercolour and graphite. Nature is for me perfect and poetic! Being in nature makes me alert and joyful, humble and calm, all at the same time. A state of mind I hope radiates out from my work. I am a self-taught artist from northern Sweden, now living in my small studio in Denmark. I paint with many layers of carefully mixed colours and also enjoy experimenting with making paints. My main focus is on watercolour – nature, botanical, old windows, still lives… but you also find drawings. 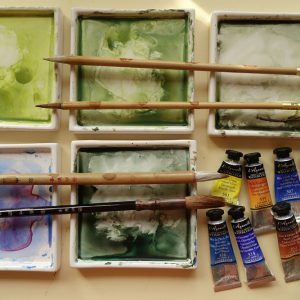 Read more about watercolour technique and my materials here. 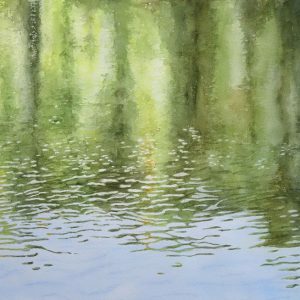 I write about my painting process and share thoughts about nature and art. Click the green button to get the news! Click the newsletter button to take you to my blog page where you find the form to fill in and submit!